Looking for a new game to play while camping or enjoying a summer evening at home? Try Kubb, better known as Viking Chess. I was introduced to this yard game by my friend Heather Biedermann while on a a recent camping trip and it was a blast! Viking Chess is much different than the board game. Yes, there’s strategy, but you’re throwing stuff and trying to knock stuff over – which makes sense in a Viking game.The game is played over a modest expanse of grass and the object is to knock over the kubbs on the opposing side, and then knock the “king” over, before the opponent does. It’s a bit more complicated than that and the rules can get hazy as you drink more alcohol. 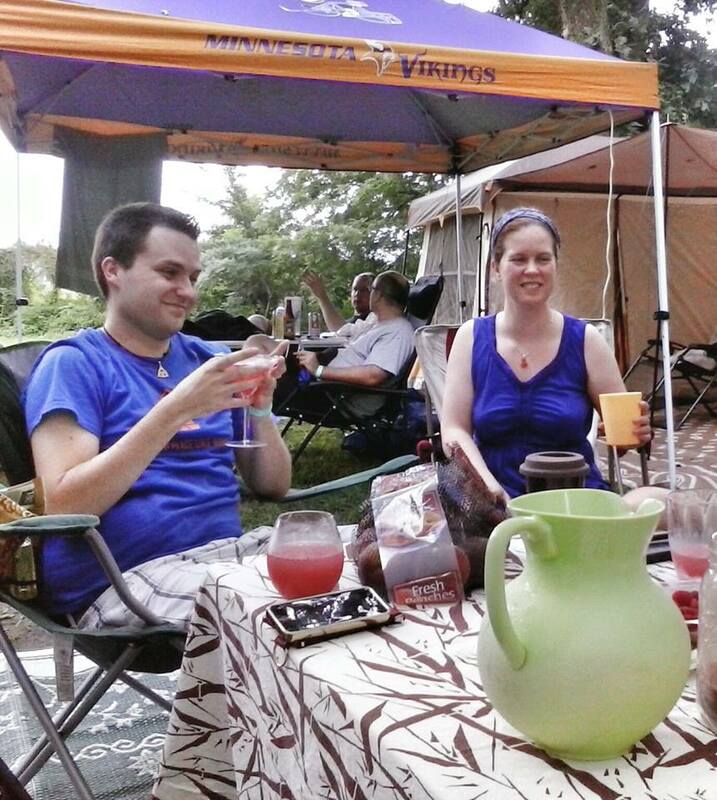 There’s my husband, teamed with a friend of ours, throwing a baton at my son’s and his girlfriend’s kubbs. They went on to win, but I suspect they cheated. I can’t throw for crap, so I lost badly when I played, yet I still had a great time. I can’t wait to play again. 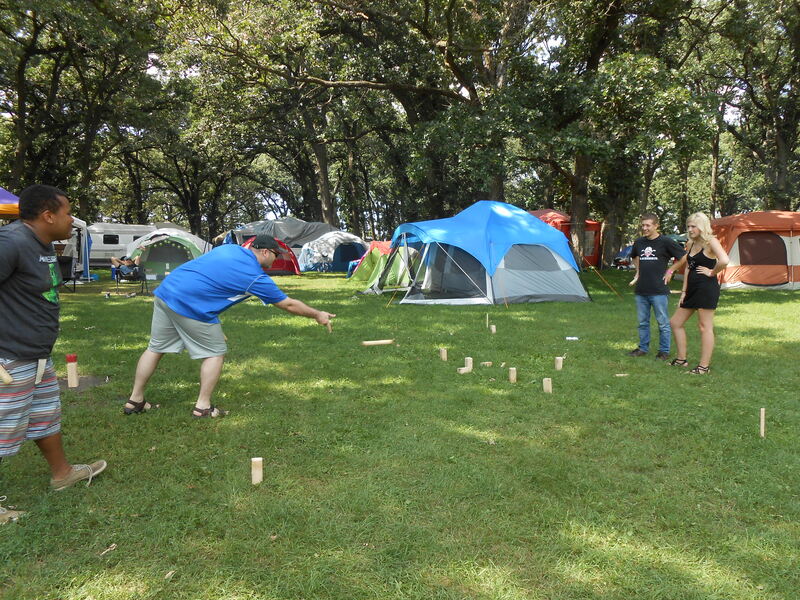 Kubb is absolutely a good addition to more well known games such as bocce, lawn darts, and croquet. I used my juicer at home to juice an entire seedless watermelon along with one large lime. Reserve all the juice in an airtight pitcher/jug and chill in fridge. Next make a pan of simple syrup. I used water and sugar in the raw. I put the syrup in two canning jars with lids and also cooled them in fridge. You could infuse the syrup with mint to make it extra tasty. When you are ready to serve, put 2-3 parts watermelon, 1 part light rum (or light tequila or good vodka- whatever you like more), and 1 part simple syrup (adjust to taste-it may only need a little as the melon is sweet in a pitcher or a glass. Top with tonic water to make bubbly or more to adjust flavor. Be sure to taste and adjust if making a pitcher as it’s a very delicate drink. Serve over ice and garnish with lime slice. If doing it by drink- one shot rum over ice in glass. A small shot simple syrup. Half glass watermelon juice top with tonic water. Stir. Garnish with a lime slice. 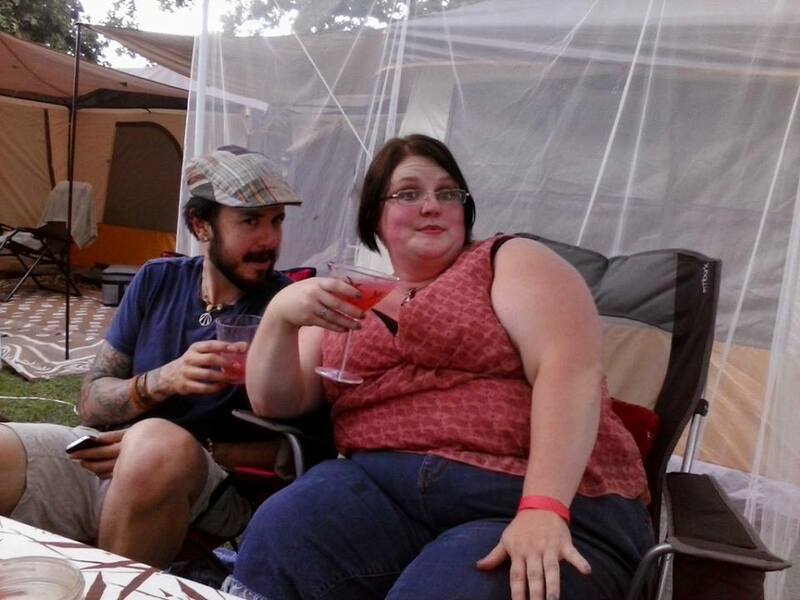 We may have had more than one.